On the corner of Broadway Street and Evans Street next door to Massey Services. 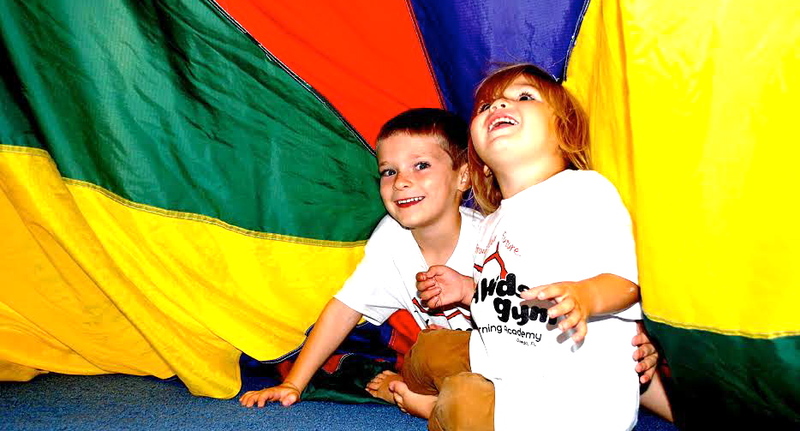 Camp Masterminds at A Kids Gym is a learning summer camp with fun games, educational activities, and different themes every week. 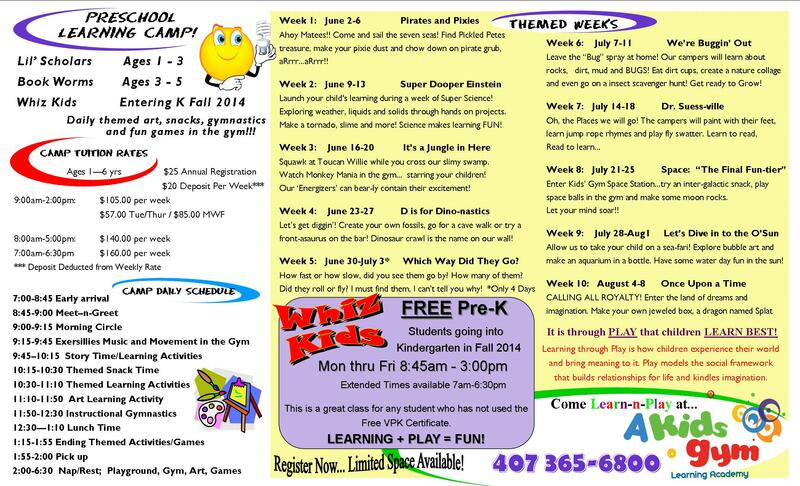 Weekly topics include pirates and pixies, space, Dr. Seuss, dinosaurs, ocean life, and more. Week 5, June 30 - July 3* / Which Way Did They Go? 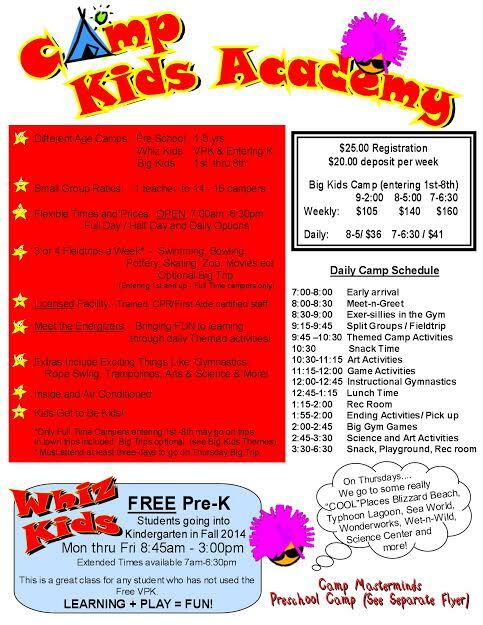 Week 8, July 21 - 25 / Space: "The Final Fun-tier"
This Orlando summer camp has a low camper to teacher ratio, ensuring that each child gets the proper attention. Activities are educational and active, getting your kids moving and thinking. 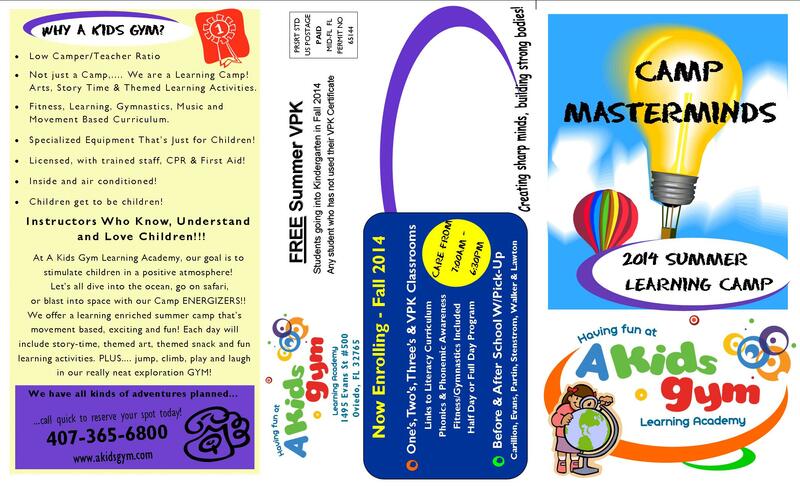 All the staff at Camp Masterminds are licensed adn trained to work with children, and they all know CPR & First Aid. The camp is inside so children can keep cool in the summer. 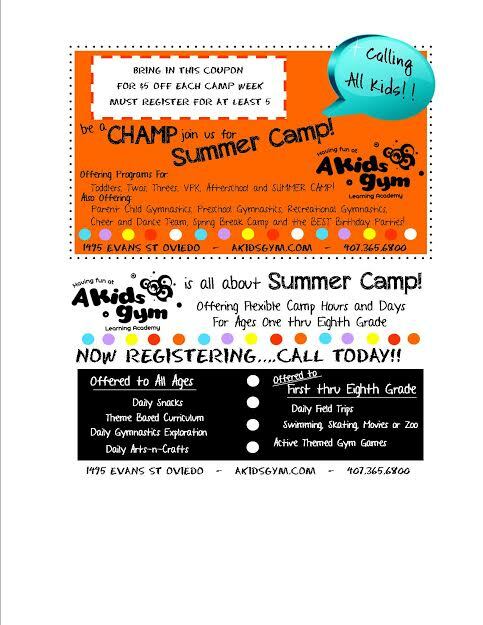 Camp Masterminds is located at A Kids Gym in Oviedo, on the corner of Broadway Street and Evans Street next door to Massey Services. 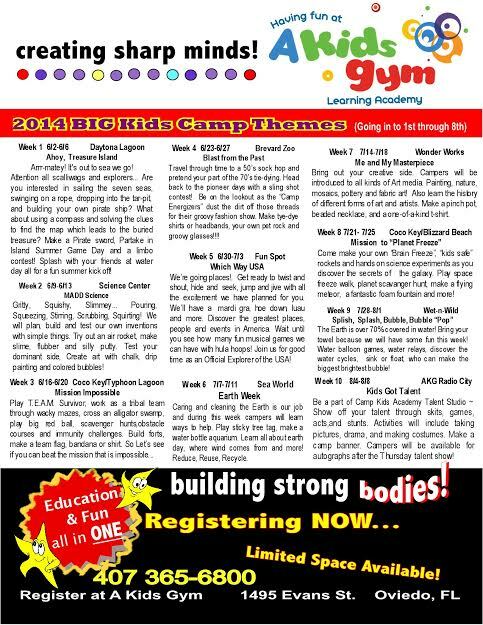 For more information on A Kids Gym, view their profile page.